feel history come to life. 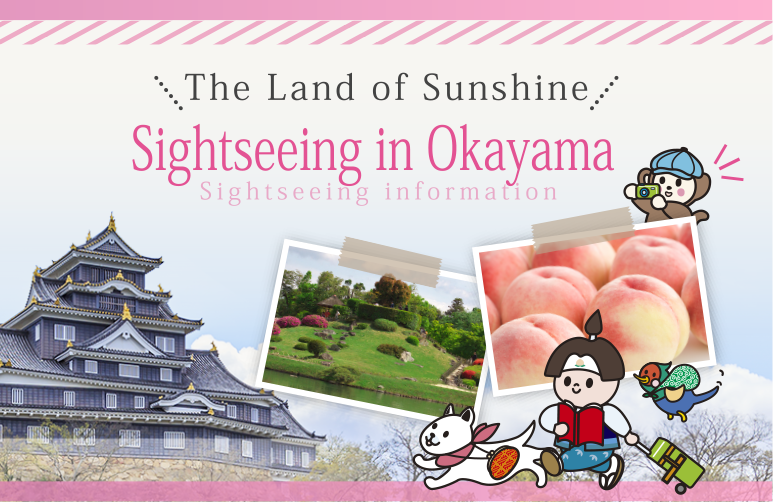 Okayama boasts a mild climate with a high number of sunny days, a variety of natural settings—from the sea to the mountains—and a hearty helping of delicious gourmet dishes. 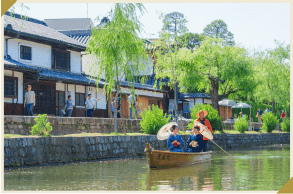 Known as the land of the legendary Momotaro, Okayama even today offers visitors a chance to experience the history and charm of ancient Kibi culture. 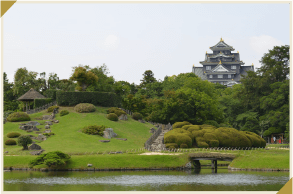 Come and see the wide variety of locations overflowing with arts and culture, including an assortment of special events, and enjoy the never-ending charm of Okayama! which flourished as an imperial demesne. 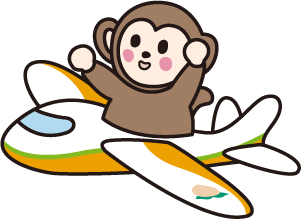 Okayama Momotaro Airport is conveniently located with quick access to various locations, including 25 minutes to central Okayama City and 35 minutes to Kurashiki. 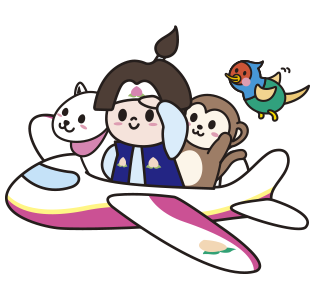 The airport also offers a wide variety of travel options, from regular bus services to taxis and car rentals. 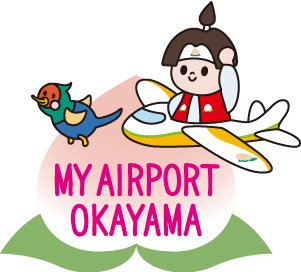 Okayama Momotaro Airport promises a convenient and comfortable starting point for your travels. 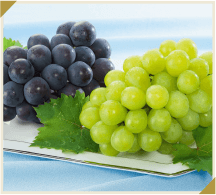 warm climate and a deliciously enjoyable fruit season. 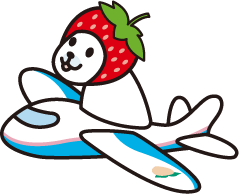 Okayama’s fruits and fruit-based souvenirs! 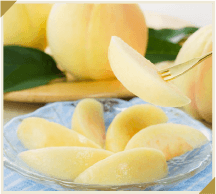 When it comes to fruits, Okayama is known for its elegant white peaches with fresh, white pulp; Muscat grapes—known as the “Queen of Fruits”; and Pione grapes, also known as “Black Pearls.” You’ll be hard-pressed to find a more luxurious offering of high-quality fruit. Okayama’s unique fruit parfaits, with hearty helpings of seasonal fruits, are a popular delicacy in many cafes and restaurants. Find a wide variety of goods even in the airport gift shops!